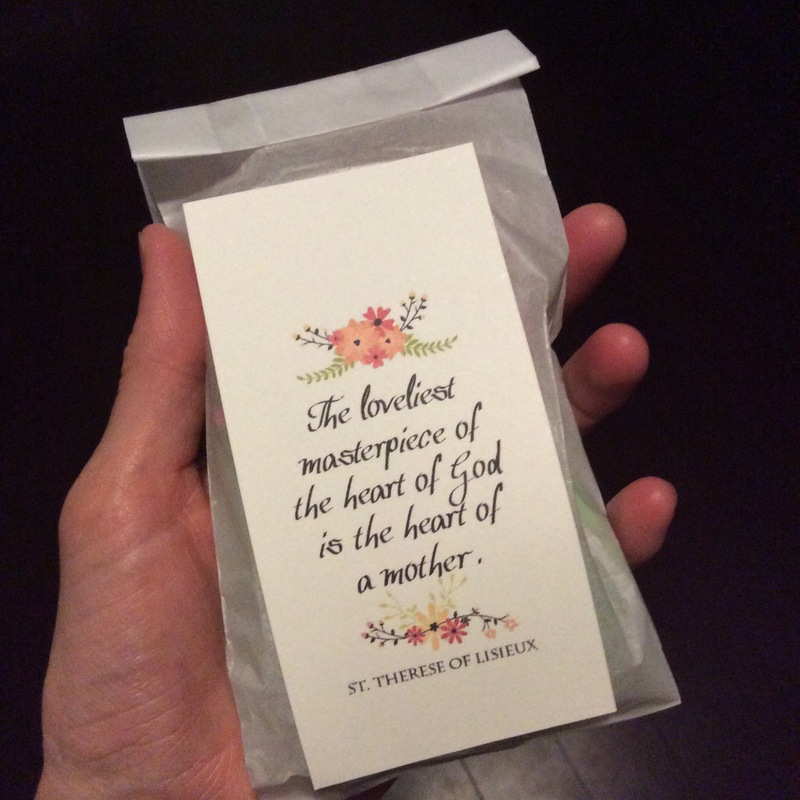 I was so touched to receive this thoughtful little gift, a bag of candies with this lovely quote from a friend of mine. She is very a unassuming and gentle person, but full of warmth and sweetness. She found time, while caring for and homeschooling her 10 kids, to make me this. I think her actions confirm the quote! Happy Mother’s Day to all mothers out there, whether your children are big or small, clambering all over you like squirrels or calling long distance. 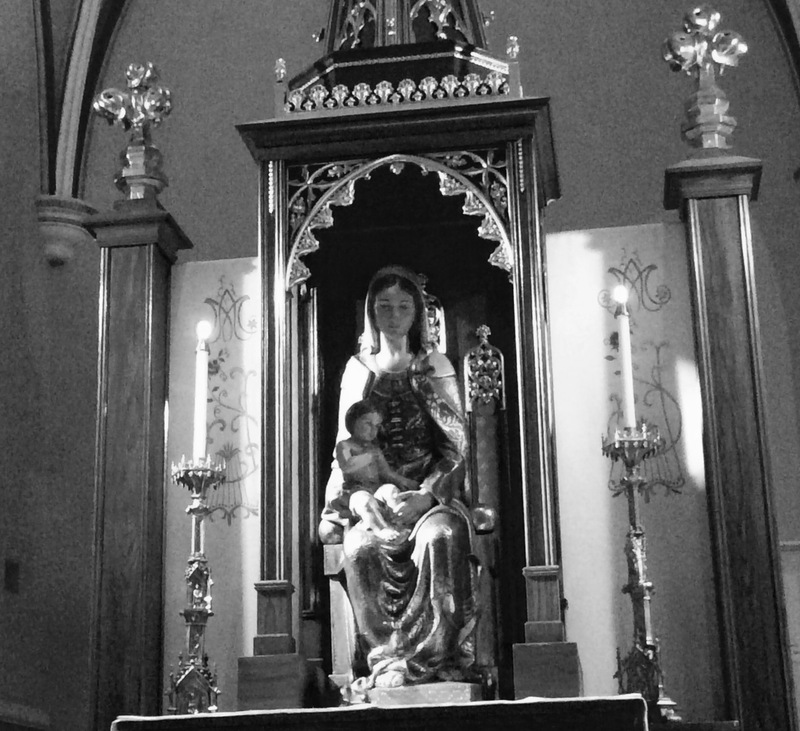 A special hug and prayer for all mothers who have lost children, or who haven’t been able to have any…at least ones staying with them on earth. You desire to love and give yourself to others makes your heart just as much a mother’s heart as mine. May God bless you! Above all, let’s remember that with all its joys and challenges, motherhood is a gift…we have been entrusted with the care of amazing little people…may we rejoice in that and be confident that with grace, we can be the mothers we are meant to be, despite all our imperfections. So today let’s not compare ourselves or see how we measure up…let’s celebrate all mothers and encourage each other to keep loving our families with all our hearts! Thank you, Nico! And also to your dear wife! Thank you Anna! I hope your day was wonderful. Peace to you!